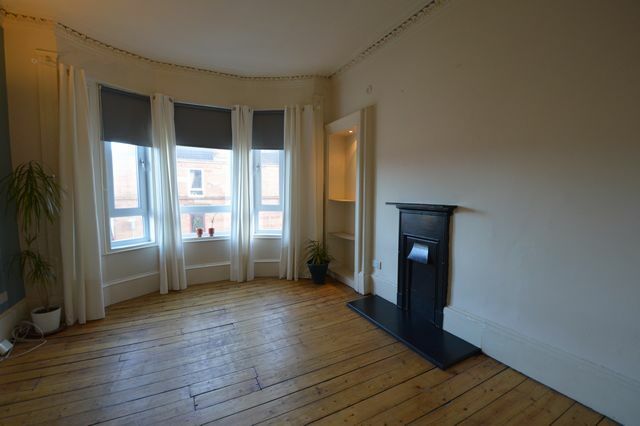 Bright two bedroom traditional tenement flat in Crosshill, on Glasgow's Southside. Third floor tenement flat is located on Cathcart Rd at clsoe to Crosshill Train station offering spacious accommodation perfect for a sharers, a couple or small family. It comprises entrance hall, 2 generous double bedrooms and large bay windowed living room with feature fireplace and stripped original wooden floors. There is a modern fitted kitchen with appliances provided and bathroom with shower over bath. GCH. Generous storage with separate freezer. This property is well suited to a couple looking for a property in this convenient location close to the Victoria Infirmary and well located for the city centre. Train station close by and street parking available.